The “to do” list is simple and straightforward. The cable-car ride up Table Mountain; an afternoon at Kirstenboch, the most beautiful botanical garden in Africa; a ferry ride to Robben Island to see Nelson Mandela’s prison cell where he spent 18 of his 27 sentenced years; and dinner at the V&A Waterfront as dusk falls and the sky turns into a glorious Turner work of art. But there is more. So much more! With four days just for Cape Town, I could gently peel back the layers … I took the ferry ride to Seal Island from Hout Bay, seated on its bow as the boat tossed and turned, to witness hundreds of seals piled on top of the other, grunting and snorting on rocky outcrops in the interminable space of the Atlantic. On one morning, I hiked on the basalt top of Table Mountain, through fynbos and crystal clear pools of water as the chilly winds tried to sweep me away, and on another mooched around the untamed paths weaving through the upper slopes of Kirstenbosch. 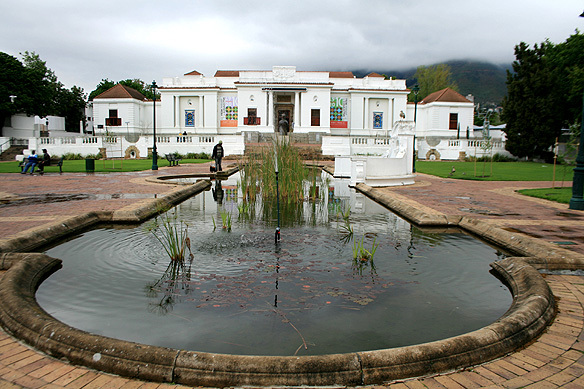 A walk of a different kind was through the Company Gardens which still has remnants of the fruit and vegetable garden set up by Jan van Riebeeck in 1652 and is lined with colonial parliament buildings, museums, and art galleries galore. 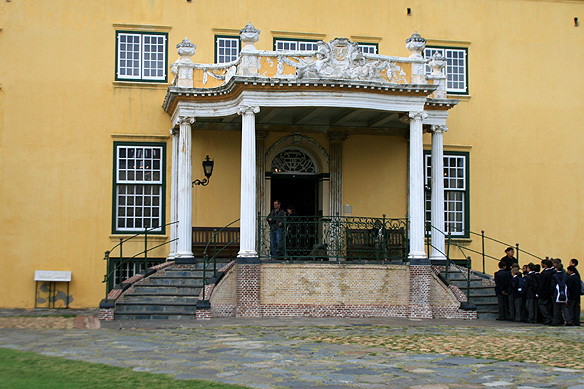 For history I explored the star-shaped Castle of Good Hope built in 1666 by the Dutch East India Company, Robben Island which perpetuated the apartheid system, District Six Museum with its heart-rending human stories, and the City Hall where President Mandela addressed the crowds when he was released on 11 February, 1990. 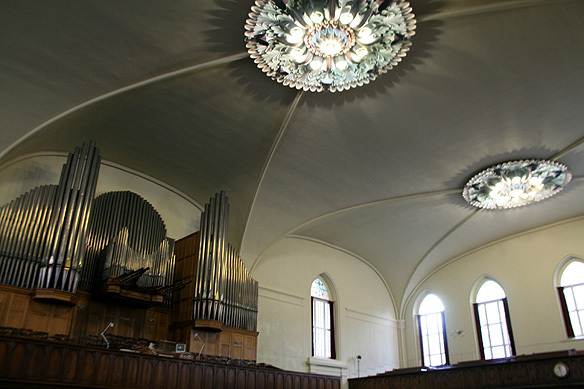 For a few moments with God, I visited St George’s Cathedral where Archbishop Desmond Tutu used to preach, the Groote Kerk which is the oldest existing church in Southern Africa (1704), and the Great Synagogue built in 1905 where I managed to have a dekko at the torahs set neatly in a line behind the screen. No city is unconnected from its people either. 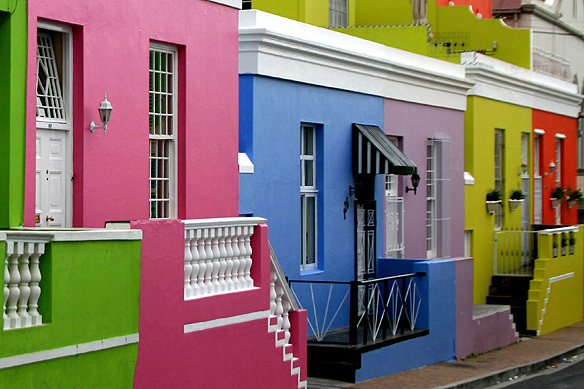 Colourful Bo-Kaap revealed to me Cape Malay culture in its cobbled streets and muezzin calls. The South African National Gallery, a kosher lunch at the Jewish Museum Complex, and an amble through blooming annuals and proteas in Kirstenbosch brought Europe alive in Africa for me. In Langa, a black township, the Sunday service at the Baptist church, beer in the local shebeen, and homes in the hostels and squatter camps let me enter another world, albeit briefly. It was possible for me to experience such a rich repository of sights and experiences solely because Cape Town holds within its folds a considerable slice of the country’s political, economic, and social history. 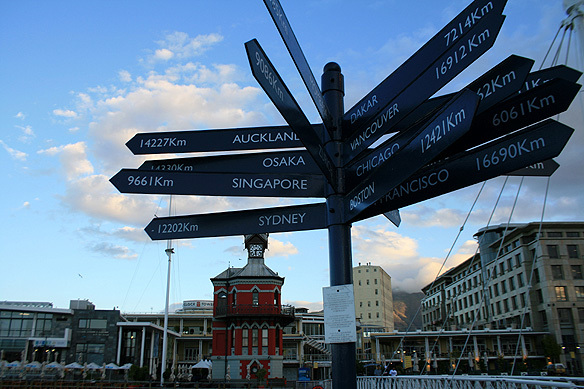 Fondly referred to as the Mother City, it was here that the first Europeans to South Africa, namely, the Dutch, settled way back in 1652 to set up a halfway halt for their trading ships to India and the East. They brought with them “Malay” slaves to work in the fields and were in 1806 followed by the British who made it a Cape Colony. But this is only part of the story. The other part is about South Africa’s fight for democracy and the critical role the city played in this struggle as evidenced in the pockets of pain that still throb as one delves deeper, behind the obvious. Kirstenbosch Garden on the slopes of Table Mountain and the majestic King Protea, South Africa’s national flower and one of the finest examples of fynbos. Down history lane … From above: Castle of Good Hope built in 1666 by the Dutch East India Company; The Company Gardens which still has remnants of the fruit and vegetable garden set up by Jan van Riebeeck in 1652; Colourful Bo-Kaap, the Malay quarter; Groote Kerk, Southern Africa’s oldest church dating back to 1704. 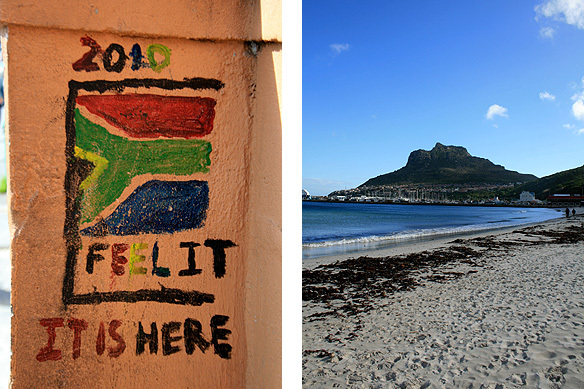 The new South Africa: Graffiti in Langa township celebrating FIFA; Hout Bay’s spectacular beaches; The sophisticated, modern, and cosmopolitan Victoria and Alfred Waterfront. In the past two and a half decades South Africa has established itself with such ease as a leading player in nearly every global platform, that one often forgets that it is an extremely young country. The fact is, only 28 years ago, the whole nation was bound and trapped in one of the most revolting and debased forms of human abuse—apartheid and the subsequent “dompass” system which controlled every single movement of “black” South Africans. It is perhaps necessary to understand that though the apartheid era was from 1948-1994, it was not a system that occurred overnight. Racism and racial discrimination were carried out by both the Afrikaner and English alike, for centuries in this country. It was a concept that started brewing way back in the 1650s when the Dutch settlers came in and chose to stay “separate” from the local “black” khoikhoi. It further caught momentum during the garnering of black mine-workers following the discovery of diamonds in 1866 and gold in 1886, and strengthened with the exclusion of the black population from the “Union” of South Africa in 1910, even though they comprised 79.8 percent of the population at that time. The world has much to learn from South Africa. It has not merely forgiven and risen from its ashes like a phoenix. More importantly it has also accepted its past, and done it not with self pity or anger, but instead as lessons learnt which have to be ensured are not repeated by its people again. There are no attempts to gloss over the ugliness. The guides at Robben Island are ex-inmates of the prison, many of whom were sentenced for years for not carrying their passbooks. 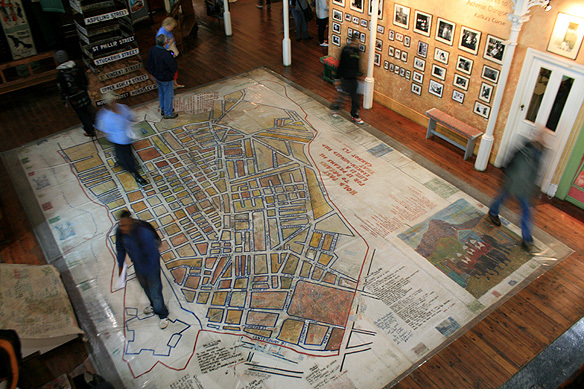 The District Six Museum in the city reminds one of what it is like to be forcibly removed from one’s home and put into squatter camps because you were the wrong colour. 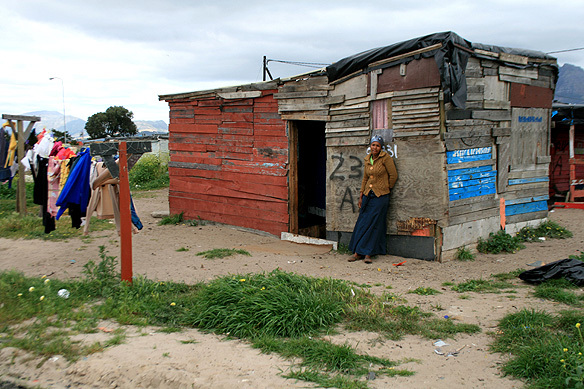 The hostels at Langa, Cape Town’s oldest black township, recall the inhumane circumstances in which migrant workers lived in, where a concrete “bed” was all they had to call their home. All these are as real and relevant as the sophistication of the V&A Waterfront, the colonial elegance of the Company Gardens and sun-drenched golden beaches where South Africans of all colour now freely mingle as equal and vital parts of Desmond Tutu’s “rainbow nation”. It has been a long road, but who says good things come easy. And that’s what makes Cape Town just that extra special as a world city. 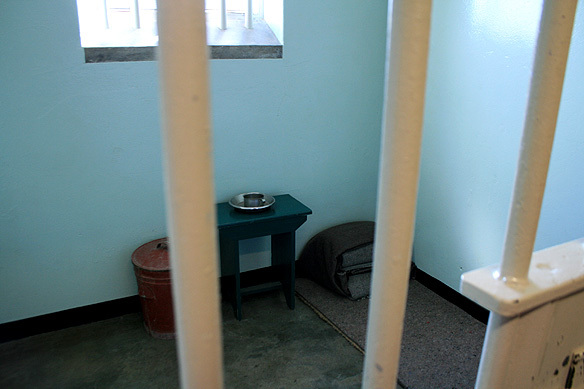 The long road to freedom from top: Langa township, District Six Museum, Nelson Mandela’s cell in Robben Island. This entry was posted in Exploring our World, South Africa and tagged Apartheid, Black Township, Bo-Kaap, Cape Malay, Cape Town, Castle of Good Hope, Company Gardens, Desmond Tutu, District Six Museum, Dutch East India Company, FIFA, Great Synagogue, Groote Kerk, Hout Bay, Jan van Riebeeck, Kirstenbosch Gardens, Langa Township, Mother City, Nelson Mandela, Rainbow Nation, Robben Island, Seal Island, South Africa History, South African Tourism, Table Mountain, Things to do in South Africa, Victoria and Alfred Waterfront by Rama Arya. Bookmark the permalink. Thanks for the great virtual tour of Cape town, Rama. Glad you enjoyed it. 🙂 Cape Town is beautiful. I assure you, my post does not do enough justice to it. The pictures are clicked by you or you have taken them from our internet..? Haha. True. Am often called Mr. Rama Arya and over time am getting used to it. 😛 Rama, as a name for a man, is derived from Lord Rama. For a woman, it is a Sanskrit word and is another name for Lakshmi. 🙂 The first “a” in the woman’s version is silent, but unfortunately in the English language one does not have the luxury to spell both versions differently. Hence, the common confusion. From how much time you are on WordPress? Since November 2013. Before that I used to blog on a self-coded blog called rama-arya.com. When I created my wordpress blog, I imported the old posts from rama-arya.com and then deleted the old site. Not a cent. 🙂 My blog is not monetized at all. Please check my About Page. Why have you not monetizes your blog? Thank you for visiting my blog, Dheeraj. 🙂 Am glad you are enjoying the posts. Kota baru itu cuma kata2 indah yv tidak mampu membagi keindahannya falam bentuk sifat yg terasa seperti nyatanya situasi mata ketika memandang….